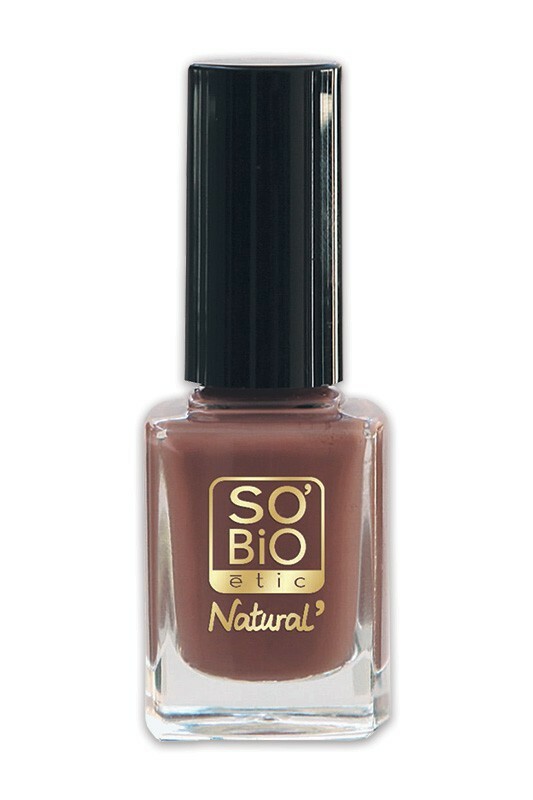 SO'BiO étic 7-free Natural Nail Polish combines intense colour with quality nail care ! It strengthens and rejuvenates your nails with Organic Castor Oil (Ricinus). 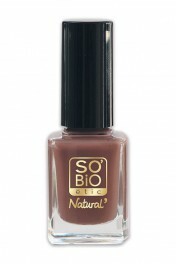 These nail polishes contain 83 to 89% natural ingredients : potatoe, corn, wheat, manioc and cotton. 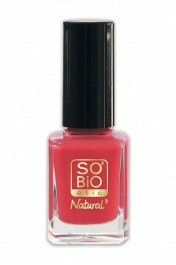 SO BIO ETIC "Color & Care" Vegan Nail Polish offers vivid colours, with easy and fast-drying application ! 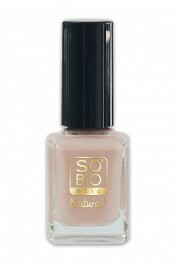 For glossy shine and long-lasting manicure, make sure to use the Nail Base & Top Coat ! 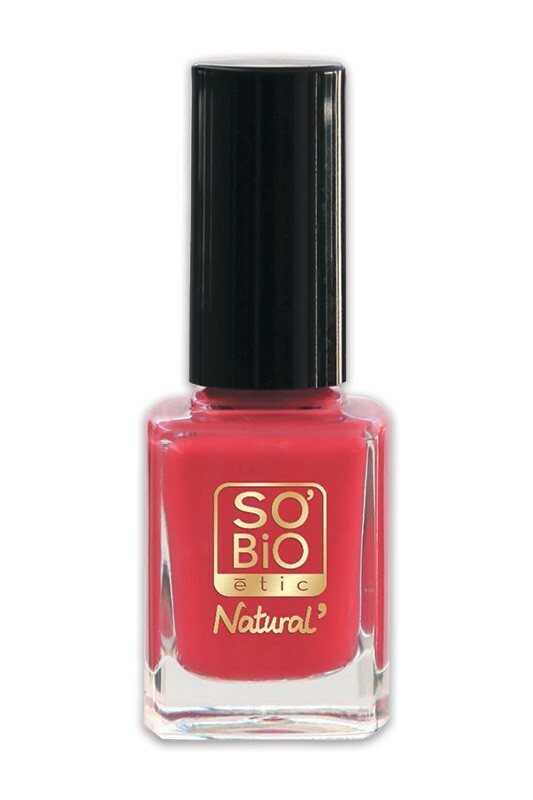 7-Free Nail Polish made without these 7 toxic ingredients : paraben, formaldehyde, phtalate, toluene, xylene, colophane and synthetic camphor. 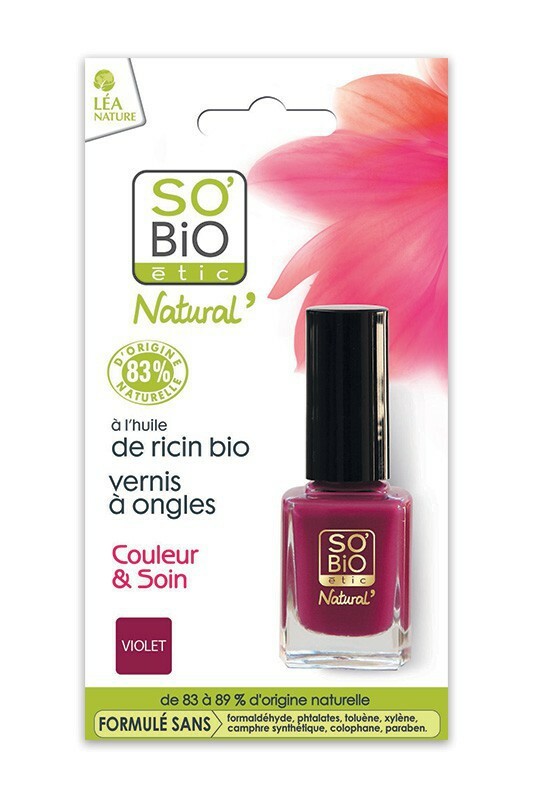 Super contente, très bonne tenue pouvant rester impeccable pendant 10 jours sûrs voire 15 jours, s'enlève facilement et en plus ne jaunit pas l'ongle (contrairement au vernis classique. 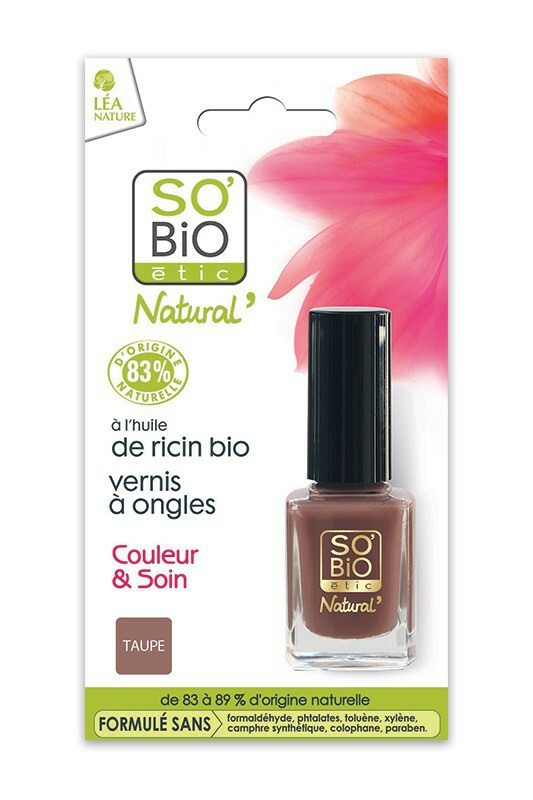 Je le recommande et en plus les couleurs sont belles. Faites-vous plaisir avec de jolis petons...!!!!!! 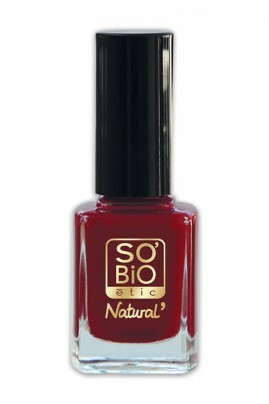 Perfect healthy manicure with So Bio Etic 7 Free Nail Polish ! 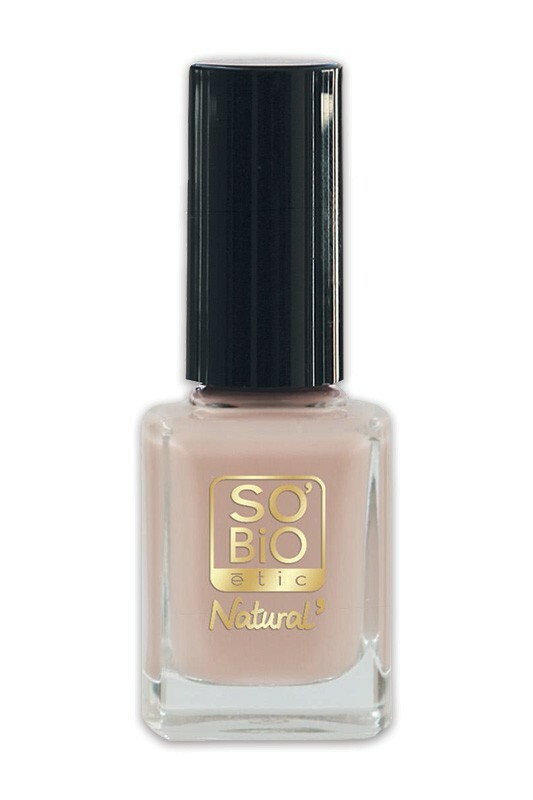 Apply 1 layer of Nail Base to protect and smoothe nails, then 2 layers of Nail Polish for intense colour and finish off with 1 layer of Top Coat for shiny long-lasting result ! 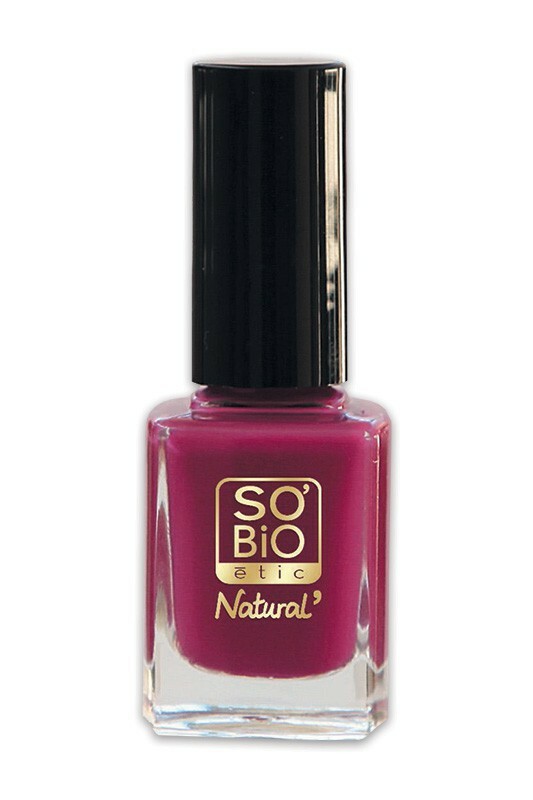 MAY CONTAIN (+/-) : IRON OXIDE (CI 77491), RED 36 (CI 12085), IRON OXIDE (CI 77492), RED 34 LAKE (CI 15880), FERRIC AMMONIUM FERROCYANIDE (CI 77510), ULTRAMARINES (CI 77007), RED 7 LAKE (CI 15850), IRON OXIDE (CI 77499), RED 30 (CI 73360), MANGANESE VIOLET (CI 77742), RED 6 LAKE (CI 15850), TITANIUM DIOXIDE (CI 77891), YELLOW 5 LAKE (CI 19140), TIN OXIDE, MICA, SILICA. 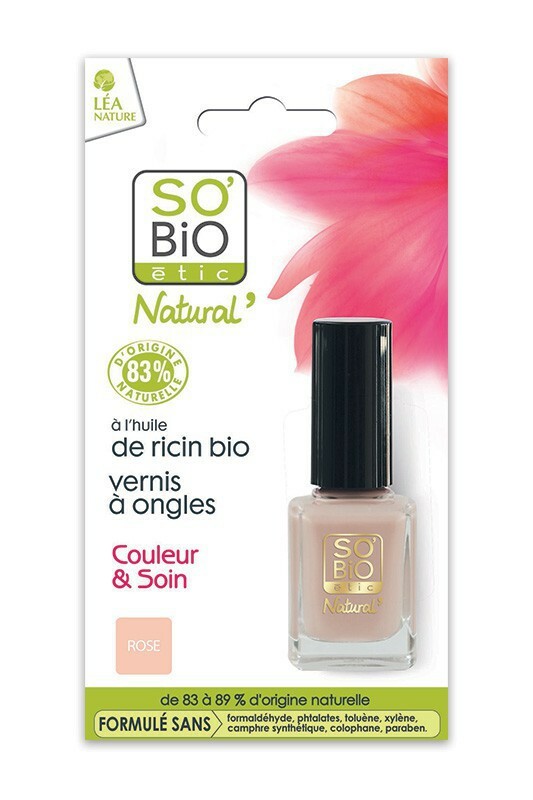 Un petit peu cher, mais très bien !